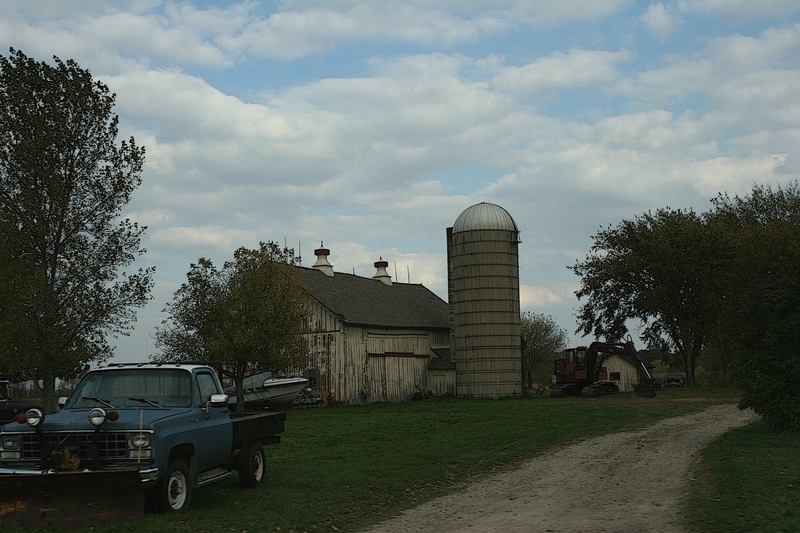 That’s my post, labeled “Barn Memories,” featured today on Freshly Pressed. That said, I’d like to thank you, my readers, for your faithful following of Minnesota Prairie Roots. Just over 600 of you now follow my blog via subscription and I am grateful for each of you. I’d also like to thank my husband, who is very much a part of this blogging journey via his support and company. The Freshly Pressed tweet about my barn post. 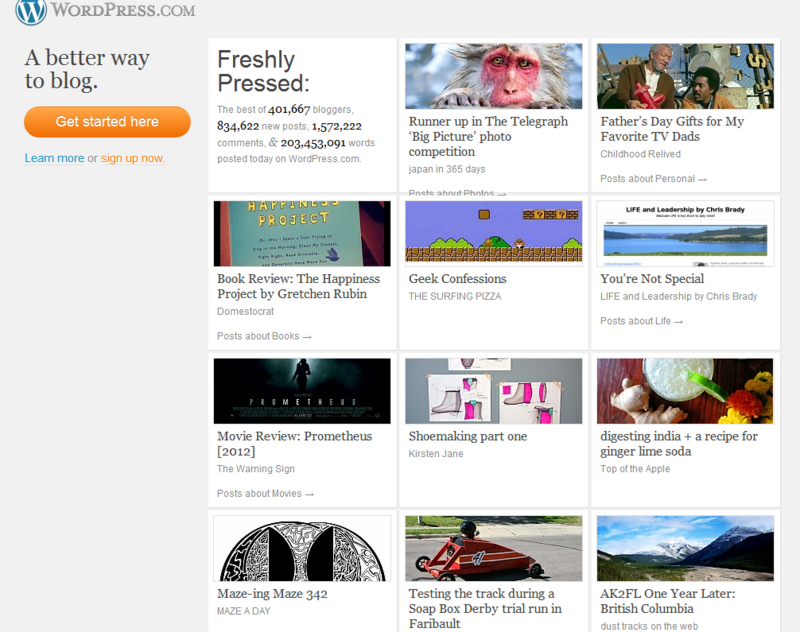 And, finally, I’d like to thank the editors at WordPress who daily hand-pick eight posts to feature on Freshly Pressed. My barn post is featured today on Freshly Pressed. You struck such a delicate and moving balance in this piece between letting the photos you took speak for themselves, and sharing with your readers the memories and emotions they invoke in you. It’s a lovely, well-executed post that deserves a wider audience. How sweet is that to get an editor’s comment on your work? It’s invaluable and uplifting and reaffirming. 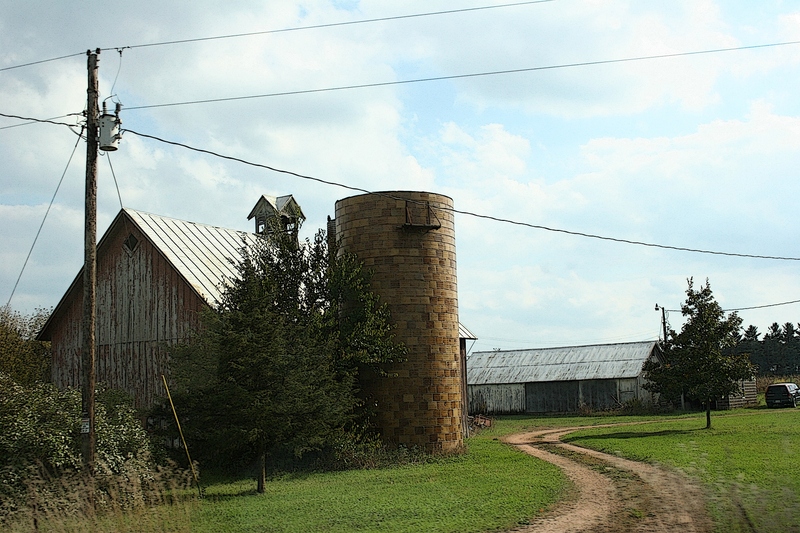 An old-fashioned farm along Wisconsin Highway 21. This is one of the photos published in my winning post. About the barn photos featured in my winning post… I shot all of them in mid-October while traveling through northeastern Wisconsin. And by traveling, I mean traveling. All six images were photographed from the passenger side of our family van while traveling down the highway at 55 mph. I had one, maybe two, opportunities to capture each photo I showcased. There was no stopping to compose a frame. Rather, I set my camera at a fast shutter speed, anticipated and clicked. That’s it. Either I got the photo or I didn’t. Clean windows help, too. Ask my husband about bottles of window cleaner and paper towels. The words I paired with the six barn photos came from my heart, from my memories of laboring in my childhood dairy barn on the southwestern Minnesota prairie. Images and smells and textures and sound flowed from my memory onto the keyboard in a piece rich in imagery, heartfelt in emotions. That combination of from-the-heart writing paired with just the right photos made this post stand out among the hundreds of thousands of others published on WordPress, apparently. 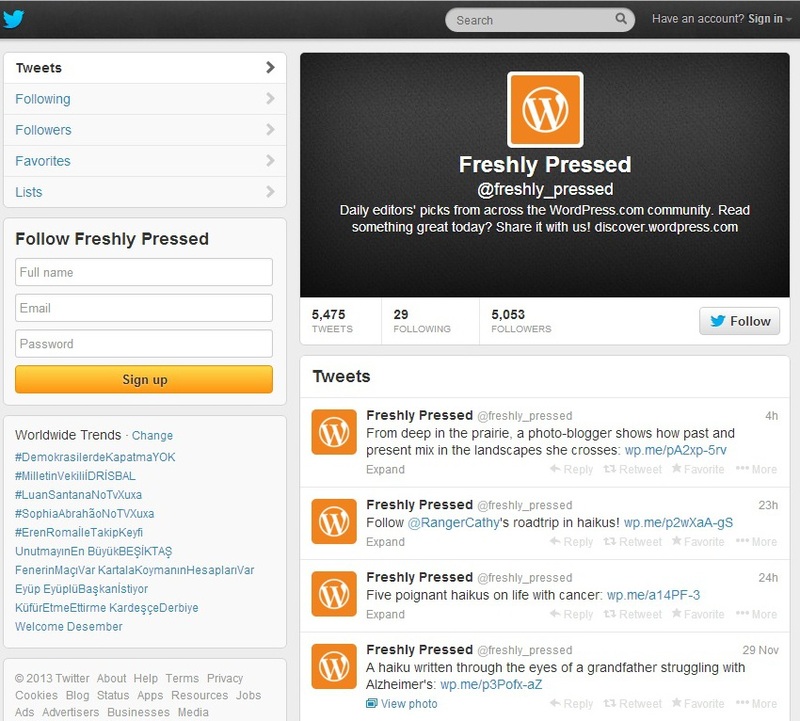 For more information on how Freshly Pressed posts are selected, click here. 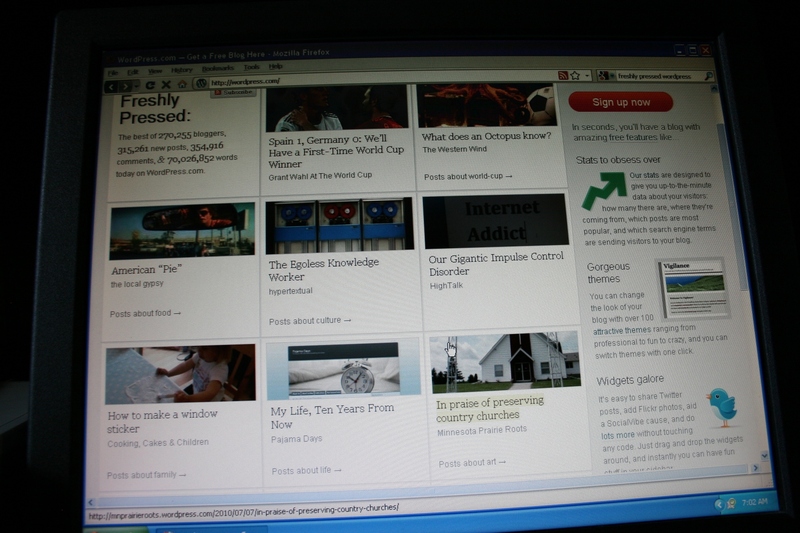 The homepage of WordPress.com, as photographed in July 2010. My “In praise of preserving country churches” blog post is on the lower right. The story focuses on Moland Lutheran Church, rural Kenyon, Minnesota. 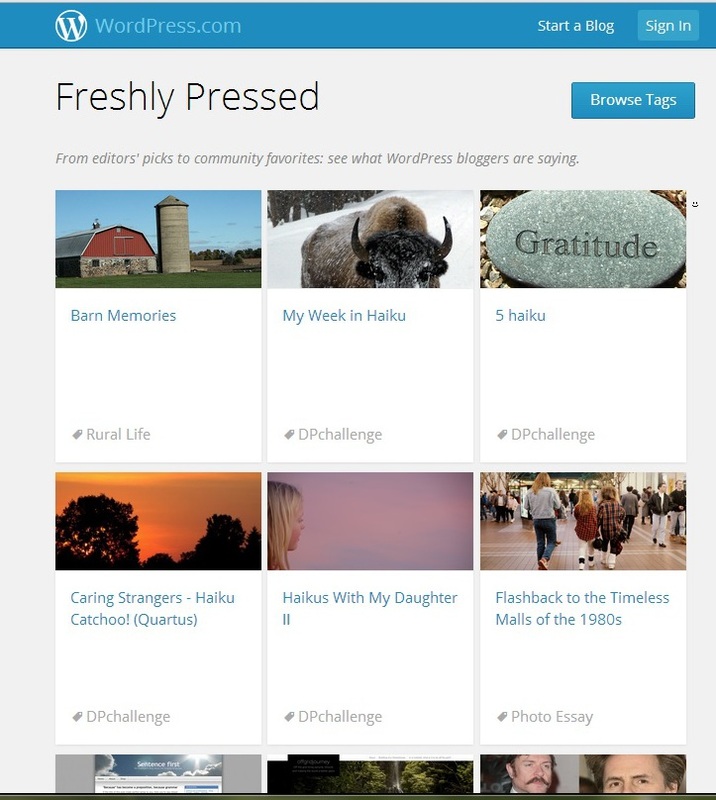 This isn’t the first time I’ve been featured on Freshly Pressed. My July 7, 2010, post, “In praise of preserving country churches,” (click here to read) was Freshly Pressed as was my June 11, 2012, post, “Testing the track during a Soap Box Derby trial run in Faribault” (click here to read). A screen shot of the Tuesday, June 12, 2012, Freshly Pressed on the WordPress homepage. My post is featured in the bottom center. To earn Freshly Pressed status three times rates as rewarding for a blogger like me, who is undeniably passionate about writing and photography. Thank you for joining me on this blogging journey. I’VE HAD SOME EXPERIENCE with shoplifting. Not that I ever shoplifted. 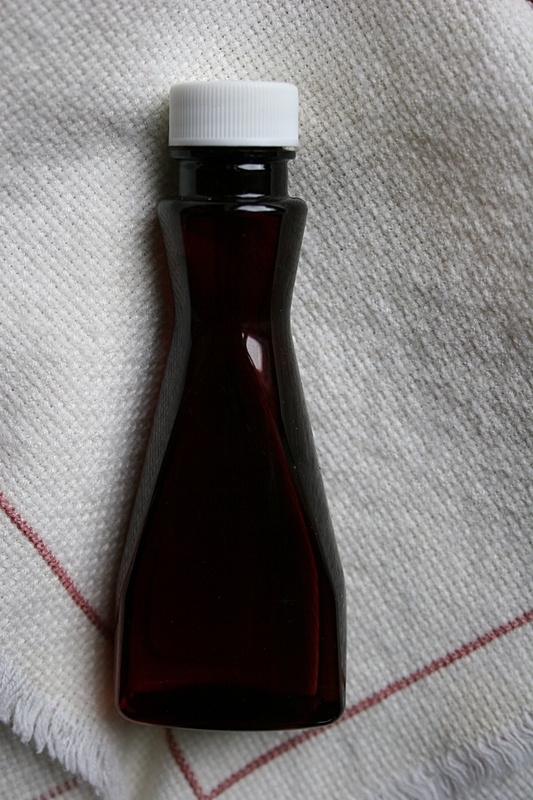 But some 30 years ago, when I worked at a local grocery store, a customer stole a bottle of vanilla as she passed through my check out lane. The manager directed me and the suspect to the office to wait for the police. There I had to pat down the woman, a duty which to this day did not seem mine to perform. Today I would refuse to do so. That initial encounter, though, erased any preconceived stereotype of shoplifters. This was an ordinary looking young woman, not someone who appeared down and out and in desperate need of stuffing vanilla, of all things, under her shirt. She could have been your sister. Not long after, another customer tried to steal groceries via distraction. She engaged me in friendly conversation while I punched the prices of food, pulled from her cart, into the cash register. (This was in the days before bar codes.) “Pulled from her cart” are the key words here. She purposely failed to place the merchandise stashed under her cart onto the conveyor belt. The store manager, or maybe it was the security guy, noticed. Busted. I learned two more key lessons about shoplifters. Always check under the grocery cart. And don’t be fooled by a friendly customer. Fast forward three decades. My husband and I are shopping at Walmart in Faribault for, among other items, charcoal filters. When Randy finally locates the right number to match our room air purifier, he opens the box to assure the proper fit. But there is no four-pack of filters inside. Rather, Randy finds two hard plastic shells in the shape of pliers. Except the pliers are missing. And so are the filters. And how did the thief manage to open that hard-as-steel clear plastic packaging right there in the aisle of Walmart without getting caught? Wedging open those molded casings is no easy feat, even in the comfort of your home. I felt it my duty to report the theft to an associate in the hardware and paint department. He expressed no surprise at the method of stealing. “Happens all the time,” he said. HOW ABOUT YOU? Have you had any experience with shoplifters or shoplifted merchandise? A harvest basket, photographed in the entry to Trinity Lutheran Church, Faribault, Minnesota. Know that the Lord is God. It is he who made us, and we are his; we are his people the sheep of his pasture. For the Lord is good and his love endures forever; his faithfulness continues through the generations. 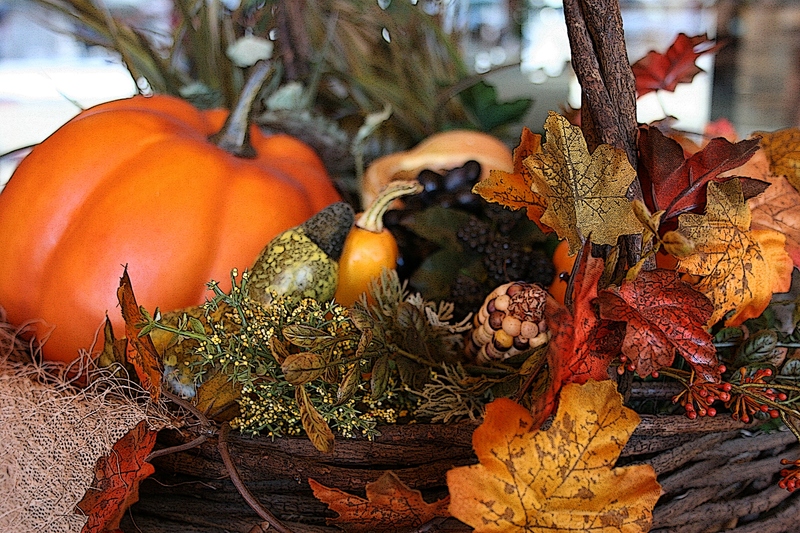 MAY YOU BE BLESSED on Thanksgiving day by the presence of those you love. May your table be full. And may your heart overflow with gratitude to God for all you have been given. 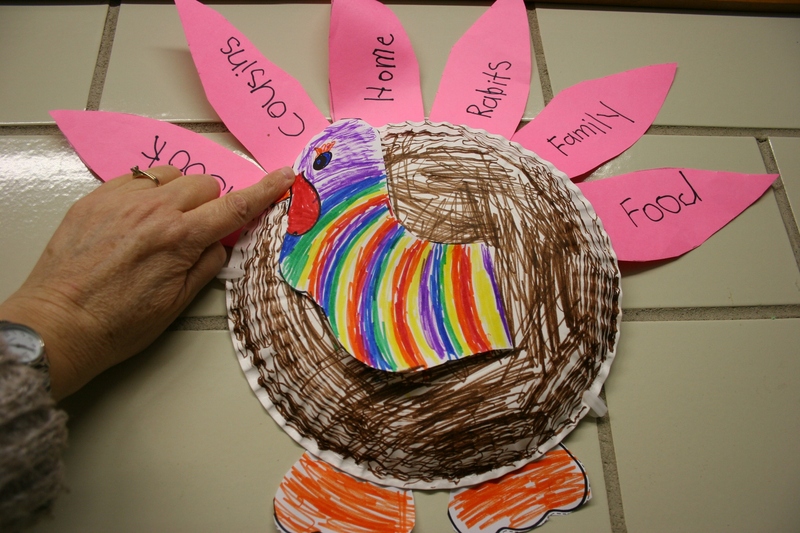 The turkey’s head was flopping down, so I used my left hand to hold the head in place and then snapped this photo of the paper plate turkey listing items for which this student is thankful. IN THIS TECHNOLOGY DOMINATED WORLD, it’s refreshing to see that kids are still using crayons and colored paper and, yes, even paper plates to create art. 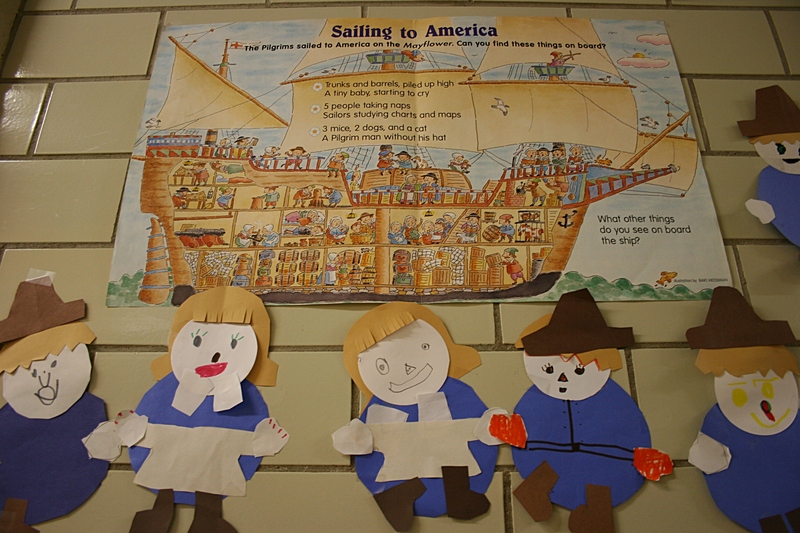 Art adorns walls in the hallways of Faribault Lutheran School. Here I’m heading to the second floor landing. 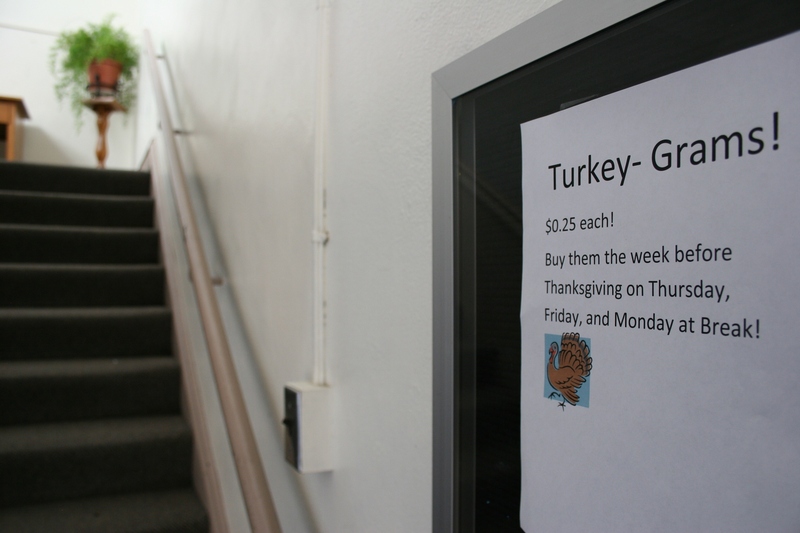 On a recent Sunday morning stroll through the hallways of Faribault Lutheran School with camera in hand, I documented this most basic way of making art during my search for Thanksgiving themed subjects. Call me old-fashioned, but kids need that hands-on experience of pulling crayons from a box, selecting colored paper, cutting shapes with a scissors, sliding a glue stick across paper and more. This is art in its most basic form. 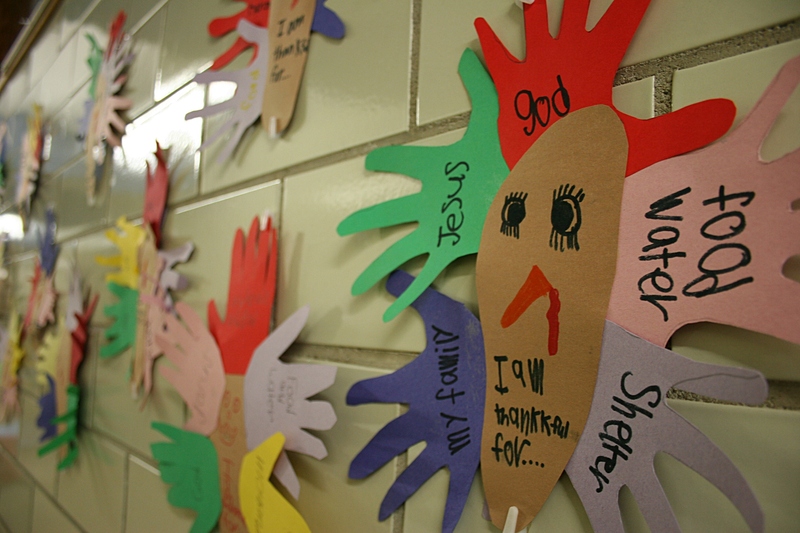 Hand and foot shapes used to make turkeys. 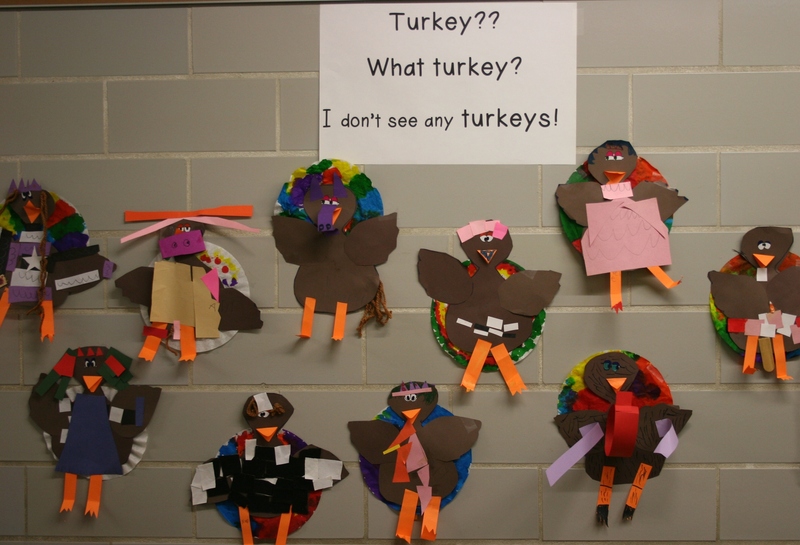 And, bonus, students listed things for which they are thankful. Who among us doesn’t remember tracing around our hands with a pencil or selecting a sharp-tipped crayon or those first efforts at manipulating a scissors? This Thanksgiving, remember to unplug and to celebrate the simple joys in life like creating art with paper, crayons, scissors and glue. 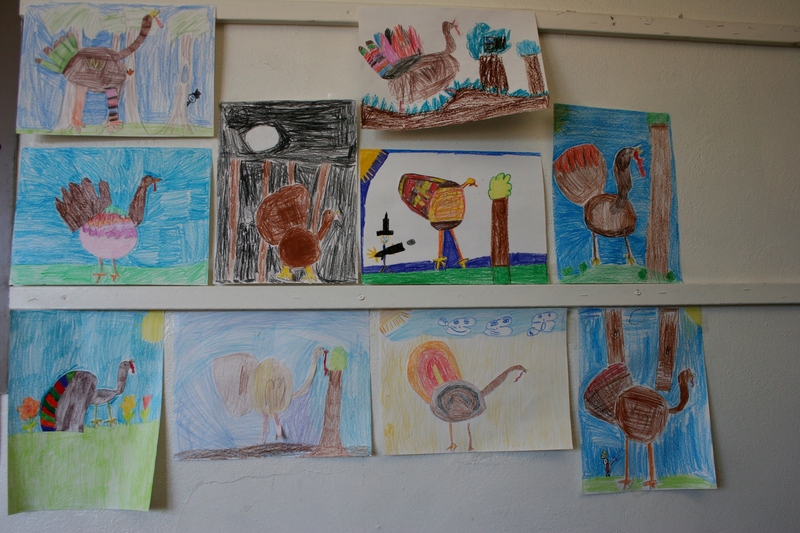 Here, here are the turkeys and some mighty creative ones. I have no idea what a turkey-gram may be. 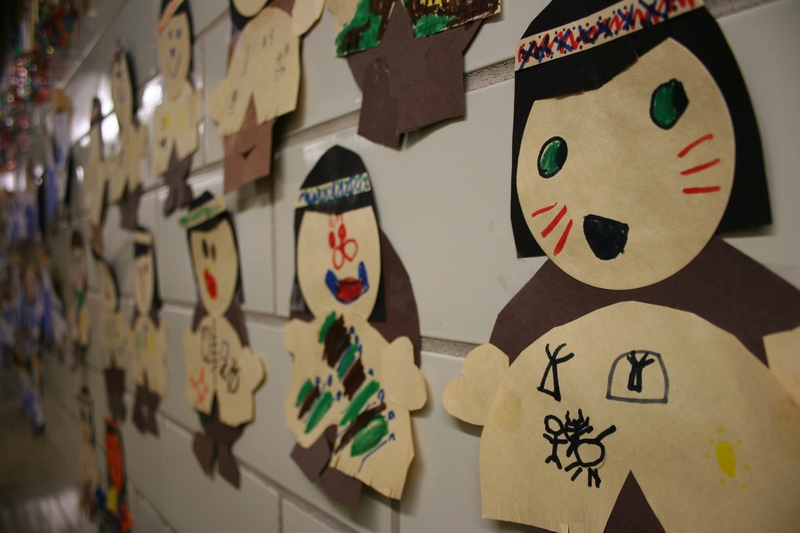 Students’ versions of Native Americans. 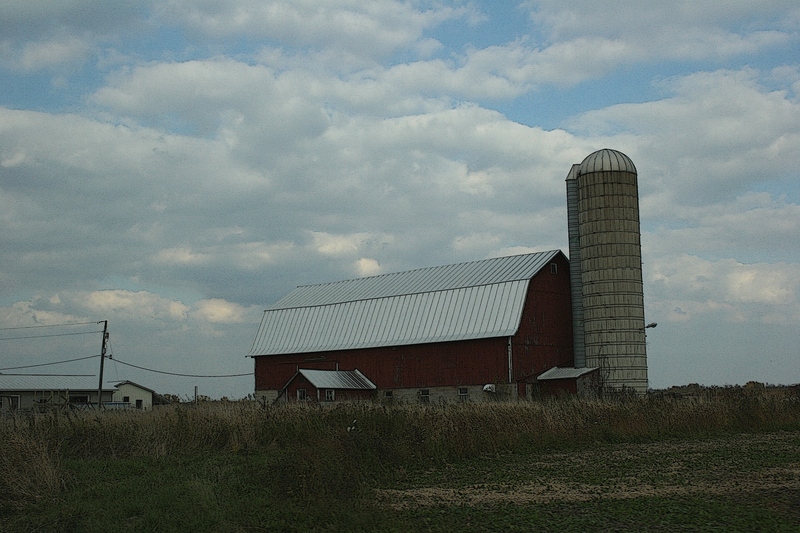 MY FONDNESS FOR BARNS, for photographing them, never wanes. Along Wisconsin State Highway 21. When I fit my eye to the viewfinder, swing my camera lens toward a barn and click, it’s as if I’m clicking my heels together and flying into my past. Also along Wisconsin Highway 21. I am trudging down the barn aisle, leaning into the wheelbarrow heaped with ground corn. I am scooping that feed by the shovelful to top silage pitched from the silo and parceled before the Holsteins’ empty stanchions. Later, as milk pulsates into milking machines and Dad has poured the milk into a tall thin pail, I am lugging the precious liquid to the milkhouse, handle biting into my chore-gloved hand. Another farm near Poy Sippi. Memories come into focus—the golden booming radio voices from ‘CCO, the slap of a cow’s tail, hot urine splattering into gutters, cats swarming around a battered hubcap, the stench of manure, taut twine snapped with my yellow jackknife and prickly alfalfa itching my exposed wrists. 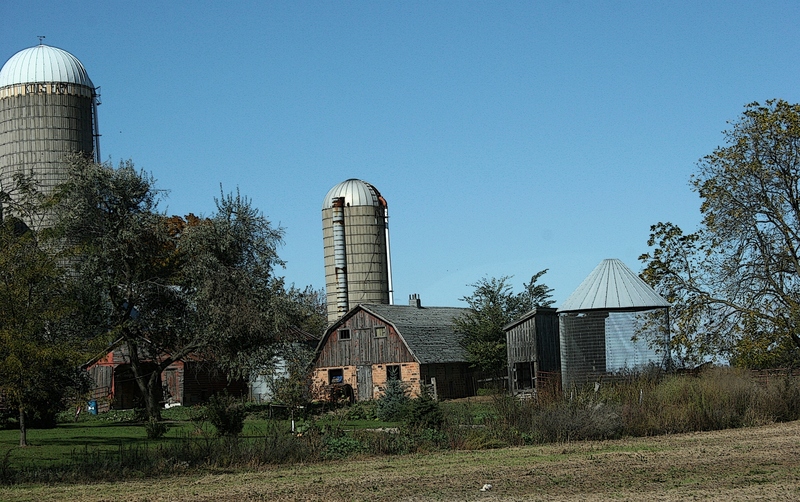 An old-fashioned farm along Wisconsin Highway 21. 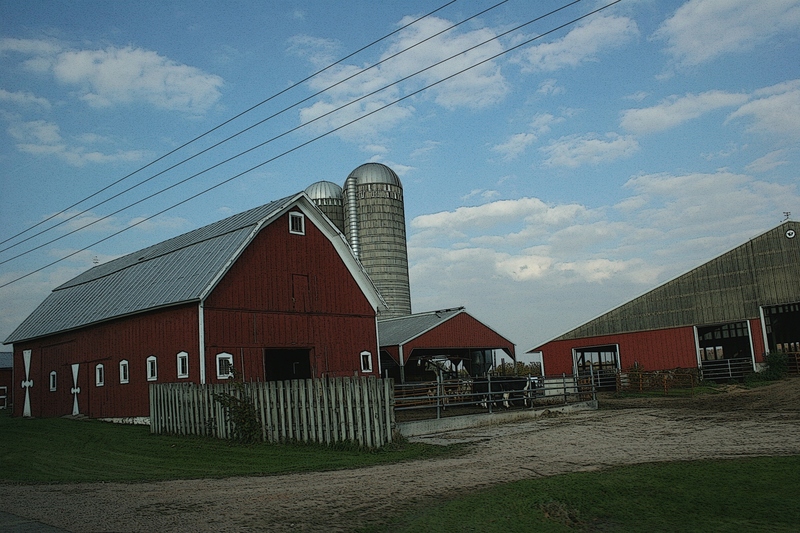 But, mostly, I see my farmer dad in those barns I photograph. FOR 29 YEARS, MY HUSBAND AND I have lived in a modest 1 ½ story corner house at the bottom of a hill along an arterial street in Faribault. 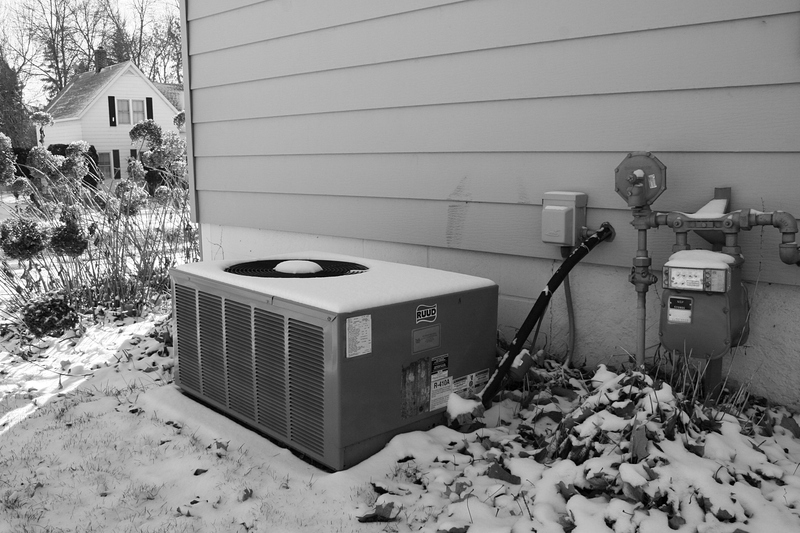 Living in a home at the bottom of a hill is not the most desirable location during a Minnesota winter. I was reminded of that again Friday when, between 7 a.m. – 7:45 a.m., someone drove onto our side yard from the side street. That’s the corner of our house on the right with the vehicle tracks swerving into the side yard. I did not witness this incident, thus can only conclude that the driver swerved across the end of our driveway, onto the lawn and back into the street to avoid a collision. We’d received a dusting of snow the previous day and city streets were slippery. 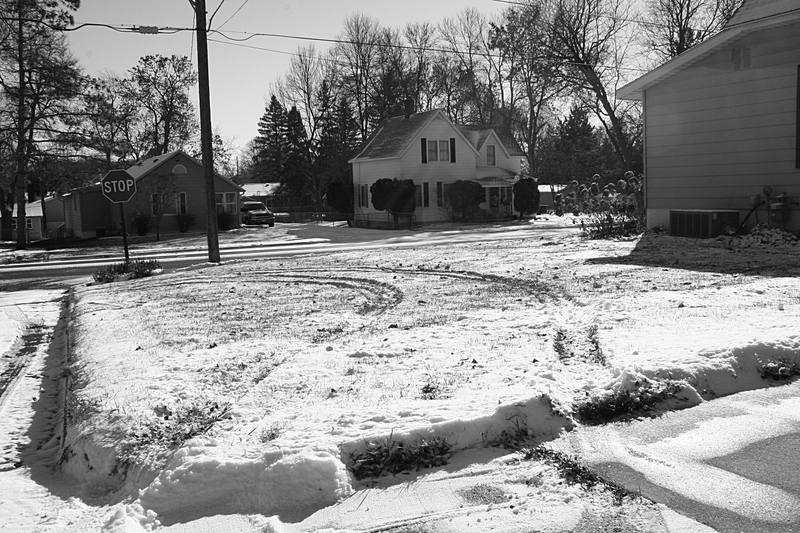 This makes me ever so slightly nervous, to see tire tracks within 15 feet or so of our house. Look just to the left of the meter and electrical box and above the air conditioner and you will see marks from a runaway tire that hit our house years ago. And I am justified in feeling unsettled. I’ve actually watched a tire fall off a vehicle and then careen down the hill, the tire picking up speed and rolling smack dab into our house, barely missing the gas line. The tire marks are still there on the siding. But even worse, a decade or more ago, an unattended parked car rolled down an intersecting street a half a block away and crashed into my neighbor’s house. I don’t recall specifics of the damage, except some foundation repair was needed. Yes, living in a corner house at the bottom of a hill and along a busy street presents potentially dangerous situations. We’ve even had chunks of snow, thrown by a snowplow, hit our front windows. Yet, what I dislike most about living in the valley has nothing to do with traffic or road conditions. I miss seeing the sun set. Dallas, Texas, 12:30 P.M. November 22, 1963: The President has been shot! TODAY, ON THE 50TH ANNIVERSARY of President John F. Kennedy’s assassination, we’ll be swamped with news coverage and memories recalled. Where were you when you heard the news? 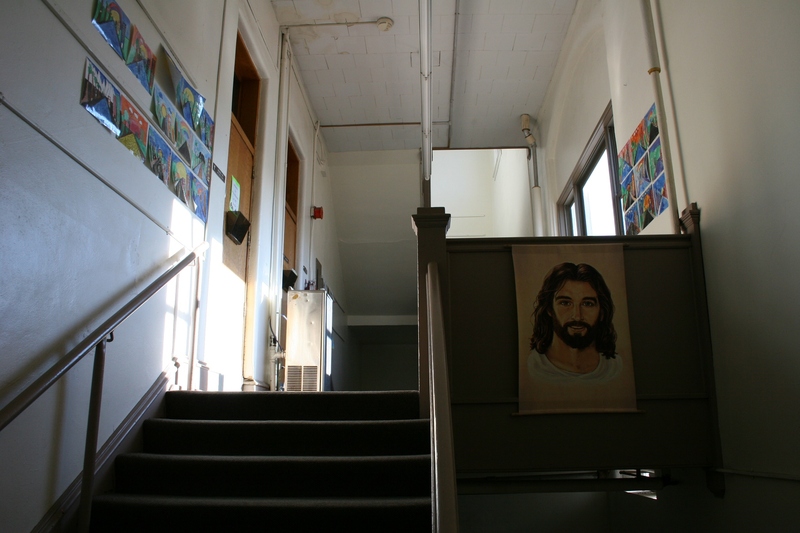 I was inside a classroom at Vesta Elementary School in rural southwestern Minnesota. That’s it. I don’t remember my reaction or that of my teacher or my parents. But I had only recently turned seven, old enough to understand, but young enough that details did not imprint upon my memory. My husband, though, remembers the phone ringing in the one-room country school he attended in North Dakota and the teacher’s announcement that the President had been shot. On the day of Kennedy’s funeral, the Helbling family relocated to central Minnesota. I expect that for a 7-year-old, moving hundreds of miles away from extended family and friends was more emotionally gripping than the death of the President. So, if I don’t have better memories than that to share, why am I writing anything at all today? 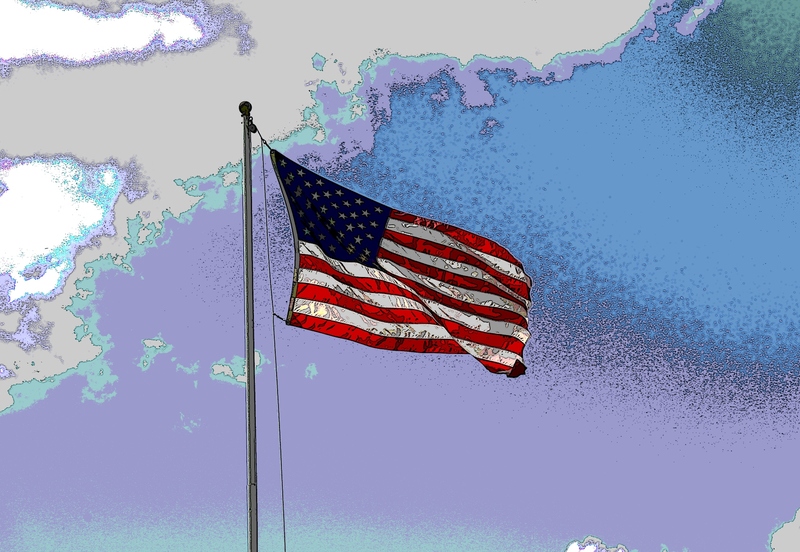 Well, listening to the radio this morning, I heard this famous Kennedy quote: Ask not what your country can do for you, ask what you can do for your country. And then I read Bob Collins’ online NewsCut column over at Minnesota Public Radio (you really ought to read this daily if you don’t already). Collins also featured that quote in his morning 5×8 list. It seems to me that today we expect our country to do too much for us. I don’t want to get into a heated political discussion here. But just consider how government, more and more, is intruding into our lives on so many levels with this law and that law, this government program and that government program. Frankly, it scares me. Given the erosion of self-sufficiency in our society, it might do all of us some good to reflect today on Kennedy’s words and ask: What can I do for my country (or my community, church, neighbor, a stranger)? I suppose that seems contrary to self-sufficiency. Allow me to clarify. I’m not anti-government or anti helping others. We need government assistance programs and laws that protect the vulnerable and those in need. We need nonprofits and charities and individuals to assist others. But there seems to be a pervasive attitude, even expectation, among many Americans that government should solve all of our problems. And that just does not sit right with me.